For more information on National Milk Chocolate Day!, please click here. Let the bananas frozen soften for an hour at room temperature or 45 seconds in the microwave to help ease the work on your food processor or blender. Don’t over thaw however, so that you still get an ice cream like texture. They should be frozen but starting to soften on the outside. Pulse the bananas in a food processor or blender until smooth. May need to stop blender a few times and use a spoon to stir in chunks as well. 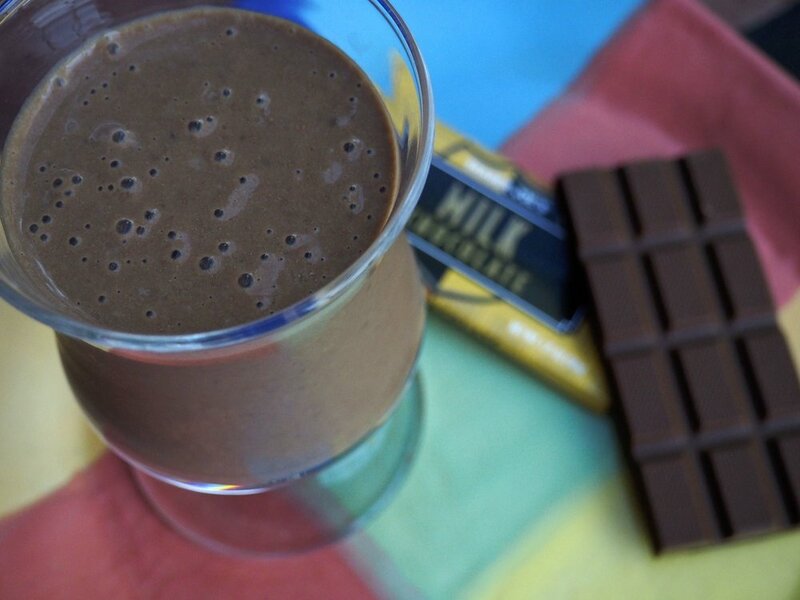 Dissolve the cocoa in the milk/non-dairy beverage to allow it to incorporate into the ice cream better. Add the chocolate paste to the food processor and puree again until incorporated. Stir in the chopped milk chocolate bits and anything else you might like - vanilla, strawberries, hemp seed, sea salt, chopped peanuts, pumpkin seeds, etc. National Milk Chocolate Day! Yes it’s a thing!